April is Poetry Month! 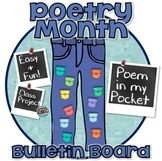 What better way to celebrate than to have your students create a Poem in my Pocket bulletin board! For this activity, students color pieces that fit together to create a large pair of pants. Then students get to decorate their pocket. This pocket will be attached to the pants. 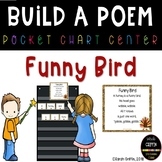 An interactive pocket chart center to build the poem, Funny Bird is a catchy, repetitive Thanksgiving poem for kids. This is the type of center kids WANT to go back to over and over. 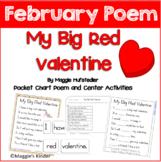 After you display the poem, and recite it a couple times, they become eager to build the poem using the word cards. This is a center that my kinder kiddos do during our bear unit. I print the whole poem out, and we go over it as a class. 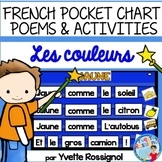 The students will put the poem together in a pocket chart. Then fill in the response sheet. Hope you enjoy! 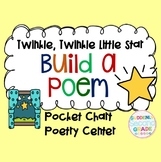 Enjoy this cute little poem with your students. 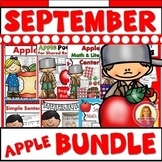 This download includes poem, pocket chart words and clip art of owls. Simply print, laminate and cut. Enjoy! More coming soon! 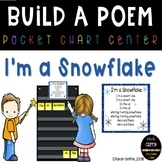 This is an original poem with pocket chart cards, sequencing cards, and printable labeling activity. Just like the other poem, but without the song file. 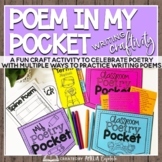 Reproducible poem and pocket chart cards -can be used during whole group literacy instruction and can be put in students' reading or poetry binder. Pocket Chart: Copy pages onto cardstock. Cut apart and place in pocket chart. Copy poem on printer. 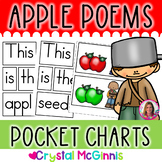 10 Little Leaves Poem and Pocket Chart Activities provides a colored copy or a black and white copy where students can color in the leaves. 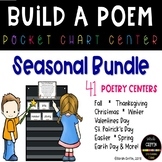 Product offers a pocket chart poem and a reproducible poem for poetry binders.